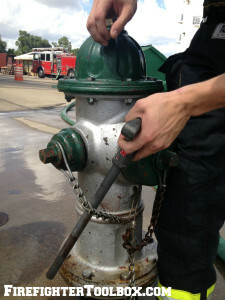 Many hydrants have a simple chain that connects the cap to the hydrant to keep them from being lost or stolen easily. 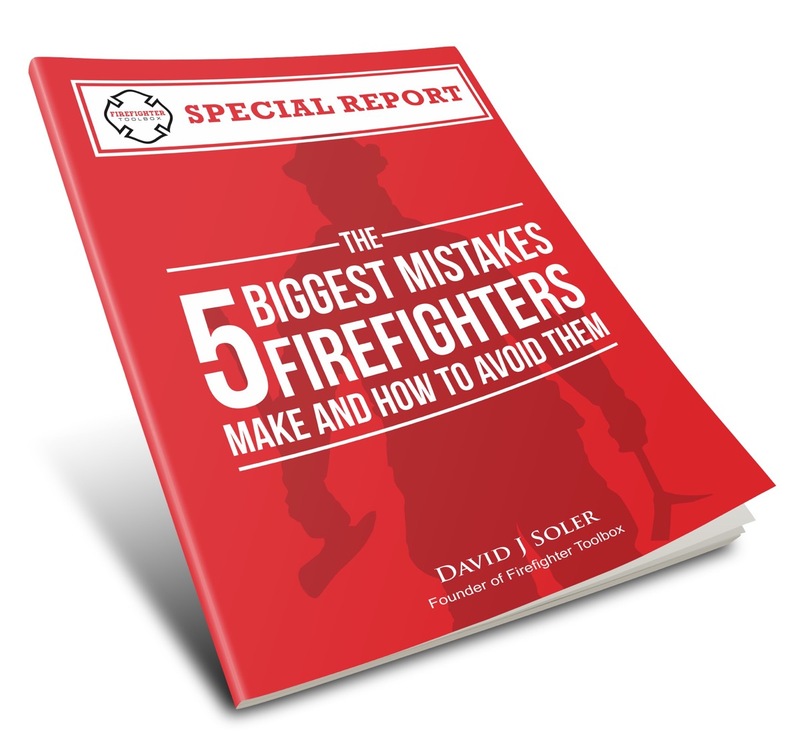 However these chains tend to seize in place with years of lack of maintenance, and when encountered during a fire operation, make the user frustrated in the attempt to remove them. Defeating the chain can be done simply with the use of simple leverage. 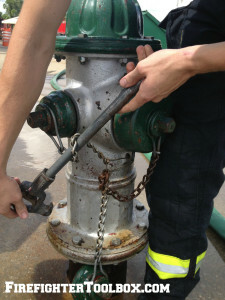 First, slide the hydrant wrench along the chain. 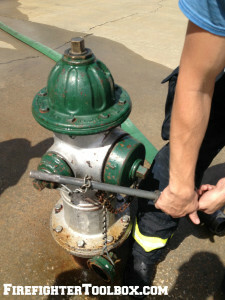 Begin twisting the hydrant wrench to get a bight around the shaft of the hydrant wrench. Continue twisting. 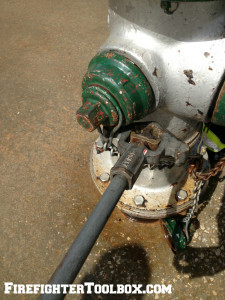 If more leverage is needed, slide the wrapped chain down the shaft of the hydrant wrench to allow for more torque. Continue until one of the links or the connection fails. 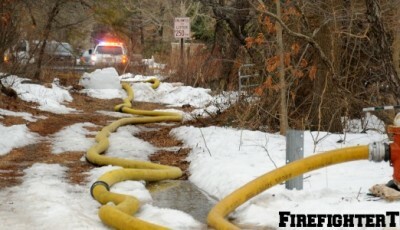 Remove the cap as usual to continue with needed for using the hydrant.